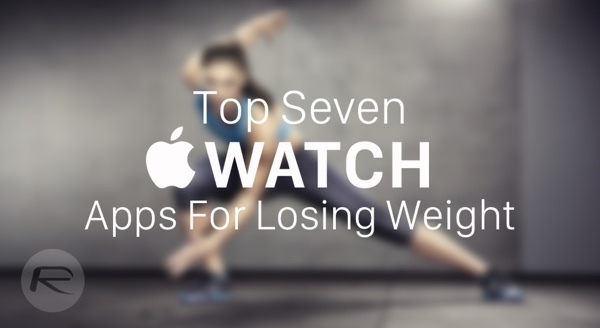 Here are 7 top Apple Watch apps that can really help users control their diet and exercise, or those who simply want to get in shape and lose some weight. Complete list can be found here. One of the highest rated apps for keeping track of your diet including calorie count, this brilliant tool will keep you informed of your daily progress. It will inform you just how much calories you’re taking in courtesy of over 5,000,000 food items in its database, and will notify just how many calories a user has burned after a certain exercise. An effective health tracker, Withings’ Health Mate will show all your everyday activity including heart rate and number of steps right on your wrist. Meanwhile, the app can also interface with the Withings line of health products to display your weight and blood pressure as well, all on your Apple Watch. On a serious diet plan but finding yourself losing your way? This app will keep you motivated and pester you with notifications on your wrist to keep you informed if you’ve forgotten to track a meal during certain hours. A goal oriented running tracker, this app will inform you with all the important bits and pieces you need to stay on track. With the Apple Watch, all your tracked activity and activity in progress will be available on your wrist, including social interactions from people following your activities. A comprehensive running tracker, your Apple Watch will keep you informed of all your recorded data using RunKeeper. The app can also provide you information on the calories burnt, while recording your heart rate as well. If you’ve been looking to do yoga, this neat app will put all the instructions right on your wrist along with controls to set the pace of the exercise, the difficulty and the ability to pause a session as well. Along with the elapsed time, it also displays an estimated calories burned. This 7 minute exercise routine has really gained some popularity in a short time, and with the arrival of the Apple Watch, all instructions and tracking has been moved from your phone to your wrist giving you real-time display of your progress.